Any seasoned comic book reader knows that dramatic change for their favorite characters, though frequent, is rarely permanent. That is doubly true when it comes to the notion of death, which, while providing an opportunity to tell a dramatic story with "high stakes" is often fleeting – though a proven method of generating fan interest and improving a title's sales for a few months. Death is such a common occurrence in the realm of the funny books that nearly every big-name superhero and/or villain has been "killed" off at one point or another, only to eventually return, provided his or her time out of the spotlight was sufficient enough that a return will garner an appropriately enthusiastic response. As comic books begin to saturate other mediums, like film and television, it's only a matter of time before the tacit rule that "death is never really the end" becomes as familiar a notion to viewers as it is to readers. The notion has already become commonplace on shows like Arrow and The Flash where, if a character isn't being resurrected outright with the help of the (now closed for business and hot tub parties) Lazarus Pit, then he or she will likely find an extra-dimensional counterpart ready to fill the void left by their absence. One way or another, it always proves difficult to keep a good hero (or villain) down. Although it is technically part of the same DC Comics universe, FOX's Gotham is distant enough from The CW's offerings that it gets to handle the issue of life after (supposed) death in any way it chooses. And according to star Ben McKenzie, of the many deaths the series has seen so far, none of them prevent that character from returning to the show at one point or another. "Not only can we but we might. I can't say definitively but yes. I'll put it this way: almost nobody that you've seen go away is dead. They are all able to come back." While McKenzie was careful not to name any names, or hint that any of the show's recently departed characters, like Jerome or Theo Galavan are "definitively" coming back, his statement certainly puts the possibility of their return on the table. It also suggests that characters with slightly more ambiguous endings than, say, Galavan, might also find themselves amongst Gotham's surging criminal population once again. That means, if the door wasn't already open for Jada Pinkett Smith's Fish Mooney to return, it has now been taken off its hinges completely and the doorman given his walking papers. 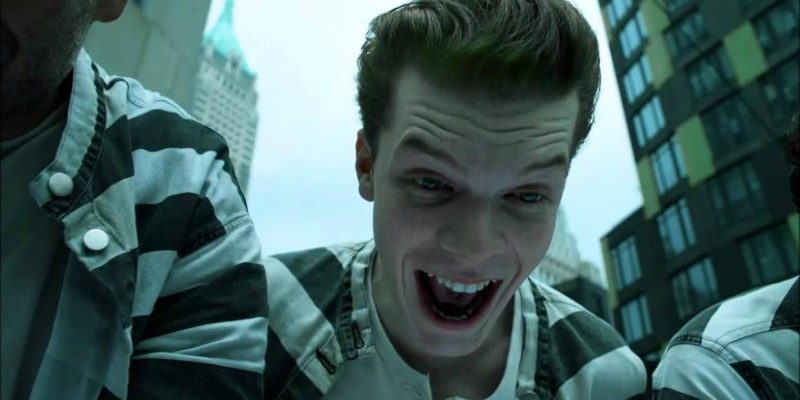 What that means for the future of Gotham and its villain-centric storylines is probably the biggest question, now that "almost nobody you've seen go away is dead." It calls into question the stakes of any given storyline. If dead's never really dead, then what, or whom exactly is at risk? Before, there was a (loose) sense of permanence to the goings-on in the series. Jerome's death suggested his rumored transition into the Clown Prince of Crime was nothing more than a red herring. Now, it's his demise that suddenly smells fishy. Does that mean – in the event that Monaghan returns to the role – the possibility of Jerome becoming the Joker is once again on the table? Given the character's penchant for shuffling off this mortal coil, only to return months later in the pages of Batman or Detective Comics, a potential surprise reappearance (in as much as it would be a surprise given McKenzie's statement) from the redheaded maniac would likely serve to solidify his potential for becoming the future arch nemesis of the caped crusader. At any rate, if McKenzie were eager to see anyone come back, the likely candidate wwould be Monaghan – who apparently left quite the impression on his co-star. "He was terrific wasn't he? Cameron… just crushed it," McKenzie said, inadvertently starting a new wave of speculation around a character many thought was gone for good.